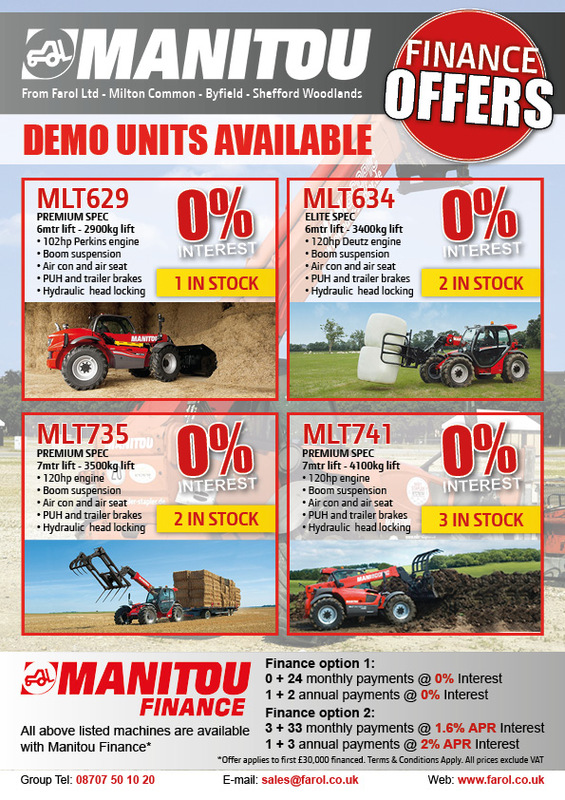 0% interest finance plans are currently available on a range of Manitou telehandlers at Farol Ltd. Call your normal sales rep or give us a ring on 08707 50 10 20. Alternatively you can email sales@farol.co.uk for further information.